Often times restful, gentle treatments aren’t equated to “effective” in the skincare world. In history many of us have been taught to believe aggressive treatments – high concentration acid products, frequent exfoliation & deep peeling for example, are the most effective ways to achieving dreamy skin but I’d like to share that they are not. There is much to be said for a gentler approach that allows the body to go into a state of deep rest, the parasympathetic mode, or rest and reset mode. Ever wonder why your skin looks amazing after a relaxing holiday? It’s the rest and the release of stress that vitalizes the body and enlivens the skin. hormone production is unbalanced, and increased oxidation and inflammation, the root causes of skin aging, wreak havoc on the body. Entering a calmer, restful state is extremely beneficial for skin health and your general state of well being as it is in this mode that the body can repair itself. It’s in this mode that the body can re-balance and do the work it needs to do to stay vital rather than just fighting to sustain itself. 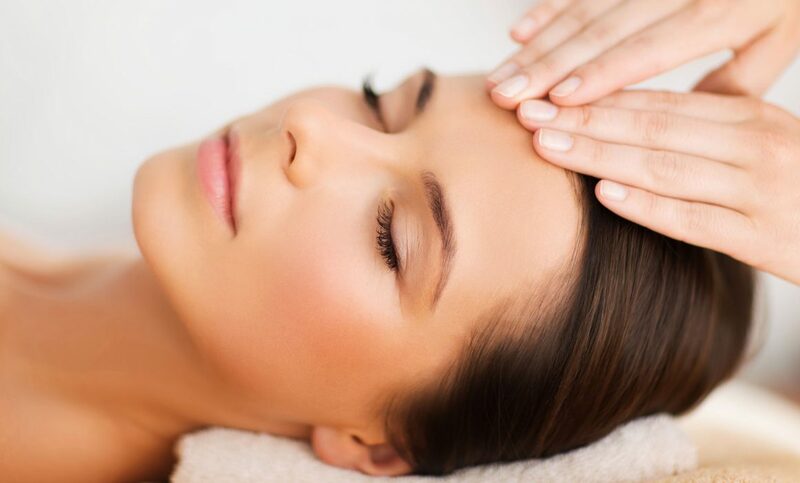 Our massage focused facial treatments are designed to help you enter this deep, relaxed state while also physically and energetically fine tuning your skin. and detoxified resulting in a radiant complexion. the skin is naturally lifted and the appearance of fine lines and wrinkles is diminished. and lasting skin transformation happens. concerns and provide you with a customized skincare plan. Book your facial today! Call us or book online. Are you curious about facials? Are you wondering why you should have one? Well this post is for you.. So why should you have a facial? Seasons change and so do your skin’s needs. It may feel dryer in the winter, more sensitive in the summer and so forth. Having regular facials will help ease these discomforts and leave you feeling comfortable all year round. Professional Extractions Leave this step to the pros! I know there’s something so excruciatingly satisfying about doing this step yourself but it’s so easy to overdo it and cause irritation to your skin. You don’t want to do more harm than good by DIY’ing this at home. Facial Massage. This step is deeply relaxing. It helps relax and detoxify the body and increase blood circulation. What does this mean? It means a radiant complexion! You know that “glow” everyone is after? Well this is key to achieving that. This alone might be all the reason you need to have a facial. I know it’s mine. Expert Skincare Advice. Don’t get lost in the drug store aisles spending money on random products that aren’t right for you or are full of useless fillers and toxins. It’s so easy to fall prey to this when you’re wandering the aisles looking for that magic fix. Save your money for the good stuff and you won’t regret it. Skincare trends come and go and we can help you decipher between the good and the garbage. We’ll work with you to find products that you’ll actually LOVE to use instead of adding to the pile of unused splurge buys hiding in the deep crevices of your bathroom cupboard. We all have these items and that’s okay but let’s not add to them! And one of the most life giving reasons to have a facial..Relaxation. It’s an hour where you get to lay under warm blankets, rejuvenate, and get taken care of. This promotes an overall sense of well being which can last for days. Sounds pretty great right? It kinda is. Come try one today! 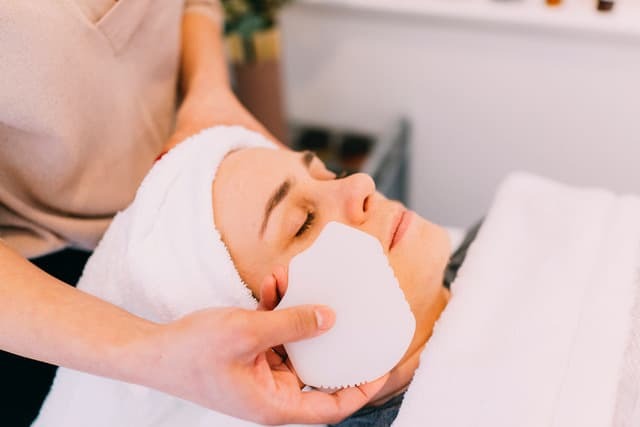 Check out our facial treatments online at https://wildflowerbeautybar.ca/services/facials/ or book a complimentary skincare consultation in shop. Take the plunge. Cleanse, purify, rejuvenate. Nourish your mind, body and spirit. Bathing is an easy way to gift yourself a blissful Time Out. Salt baths (Epsom and Sea Salts are among our favorites) infuse the body with Magnesium and other vital minerals which help to soothe sore muscles, encourage better sleep and detoxify the body. We’re big fans of The Ritual Store’s Rose Quartz bath gems and Divine Detox Bath soak. Each jar is infused with powerful crystal energy to elevate your bathing experience. Burn Palo Santo and let the smoke clear the air and bless your body. Set the intention of opening your heart and gifting yourself much needed rejuvenation time as you swirl the bath gems into warm water. Dress the bath with fresh rose blooms and rose essential oil to charge the water with the loving energy of roses. Step inside and soak in the nourishment of this restoring time to yourself. Burn Palo Santo and let the smoke clear the air and bless your body. Set the intention of letting this amethyst infused salt bath detoxify your body and energy in order to connect with yourself. Dress the bath with lavender sprigs or essential oil and step into this Divine Detox. The Ritual Store Rose quartz bath gemstones, Divine Detox bath salts and Palo Santo bundles are available in the shop. Jade rolling is a centuries old beauty ritual that is evidenced to being used as far back as 7th century china as well as by the Mayans and Egyptians as a massage and meditation tool over 5000 years ago. 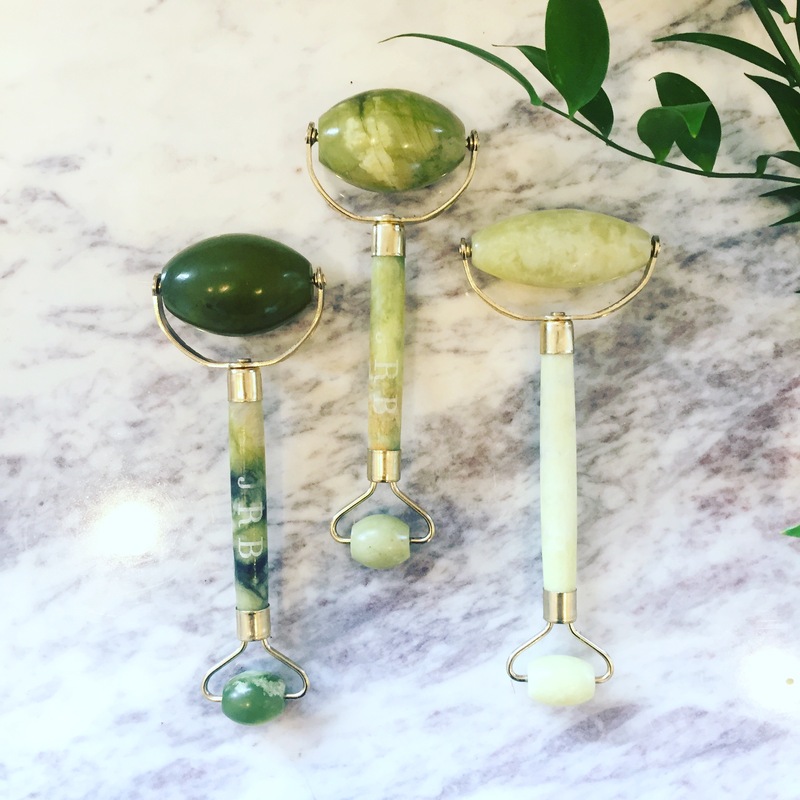 Jade rollers are made of an oblong piece of jade attached to a handle which allows you to roll the stone across your face in order to help depuff (via manual lymph drainage), allow for increased product penetration, sooth and smooth the skin. As with most beauty routines it’s the simplicity and efficacy of jade rolling that has allowed it to stand the test of time. – Increases circulation: The action of jade rolling increases blood flow in the skin. This increase in flow results in the detoxifying of the skin, and can lead to increased vibrancy, clarity, and a radiant complexion. The saying “no flow, no glow” has been used to describe this attribute of jade rolling. – Increased blood flow helps tone facial muscles to contour the face and smooth wrinkles. – In the same way your body feels refreshed after cardio, Jade rolling will have the same effect on the facial muscles. – The lymph draining action and inherent coolness of jade rolling helps to defpuff and detoxify the skin as well as reduce the appearance of darkness under the eyes: Proper Jade rolling technique is a form of manual lymph drainage massage and helps to rid the body of waste, toxins and other unwanted materials via the lymphatic system. – Calm and soothe. Jade is a naturally cooling stone and will help calm and soothe the skin. Place rollers in the fridge for a few minutes before rolling for added cooling/depuffing benefits. Kind of like putting cucumbers over your eyes but soooooooo much better! – Help serums penetrate more effectively into the skin: Warm the rollers in warm water then roll over any serum to help the product penetrate more deeply into the skin. Jade is believed to relax the nervous system, help discharge toxins in the body and is said to increase chi, a revitalizing energy in the body. Visit the shop for a tutorial on how to use this amazing skincare tool! Beauty from the inside out. Sign up for our monthly newsletter and receive holistic beauty and self care inspiration straight to your inbox.